Doctors and Death: What is the Physician's Role and Responsibility to Patients? When doctors decide to become doctors, many do so out of a passion for helping prevent disease and death, to improve the health and well-being of their patients, and to treat, heal, and cure patients whenever medically possible. But, what if, as a physician, you find that there is nothing more you can do to help your patient get better? What if there is nothing you can do to help your patient enjoy any quality of life? What if your patient is suffering so much, that he or she actually wishes to die, rather than live in pain, and without any enjoyment of life? What if part of your job description includes allowing a patient to die, or even providing assistance for a patient to do so? As a physician trained to cure and prolong life, how do you reconcile the wishes of your terminally ill patient, with your duty as a physician to save lives and 'do no harm'? As medical advancements enable patients to live on long after their quality of life has disappeared, a growing percentage of doctors are supporting a movement to help patients take control of their life and death, and proceed through the end of life with dignity, as opposed to devastation. American physicians now support death with dignity via medical aid in dying by a 23-percent margin (54% vs. 31%), according to a Medscape poll conducted last fall of 17,000 U.S. doctors representing 28 medical specialties. However, this statistic also reveals that there are still many physicians who are not certain that they should be helping a patient to die. This issue was brought into the spotlight recently by a young woman who, after being diagnosed with a terminal illness, used her last few weeks on earth to crusade for the right to die with dignity. To take control of her end-of-life process, Brittany Maynard relocated to Oregon, one of the five states where it is currently legal to obtain a medical professional's assistance with dying on one's own terms. With medical assistance, Maynard ended her own life before her illness could ravage her body slowly and painfully. Ms. Maynard and her family publicized her journey, leaving behind a powerful legacy for death with dignity, as well as a great deal of momentum for the growing movement. We obtained some additional information on this issue via an email interview with Mary Steiner, Coordinator, Doctors for Dignity, and Matt Whitaker, Oregon State Director and National Healthcare Provider Outreach Coordinator for Compassion & Choices. Q: How and why was Doctors for Dignity founded? Why now? Who founded it, and what was the inspiration? Doctors for Dignity: Compassion & Choices recognizes that doctors are more likely to listen to other doctors when it comes to setting policy. Our goal is to provide information on end-of-life planning, including aid in dying. There is strength in numbers. Doctors for Dignity provide “cover” for others and offer support and education to each other. One goal is to allow doctors to be more forthright and collaborative with their patients who are facing end-of-life issues. Another goal is to move organizations opposed to aid in dying to either a neutral or a pro stance. When physicians talk openly about their positions, it helps to accomplish this goal. Doctors will become speakers at medical conferences and offer information and education. Doctors for Dignity will write letters to the editor and provide “expert” testimony to legislatures and court if needed. The bottom line is to allow doctors a platform to advocate and demand more inclusive end-of-life policies, including death with dignity. Doctors for Dignity: Growing the Doctors for Dignity membership seems to be tied to national events. We gained members when Brittany Maynard was publicly advocating for aid in dying. California doctors have come aboard in larger numbers as a result of the aid-in-dying legislation introduced in the state legislature and we have seen more members join during the AMA convention. We also receive members at other conferences where Compassion & Choices has a presence. Doctors of all generations are joining the end-of-life choice movement. 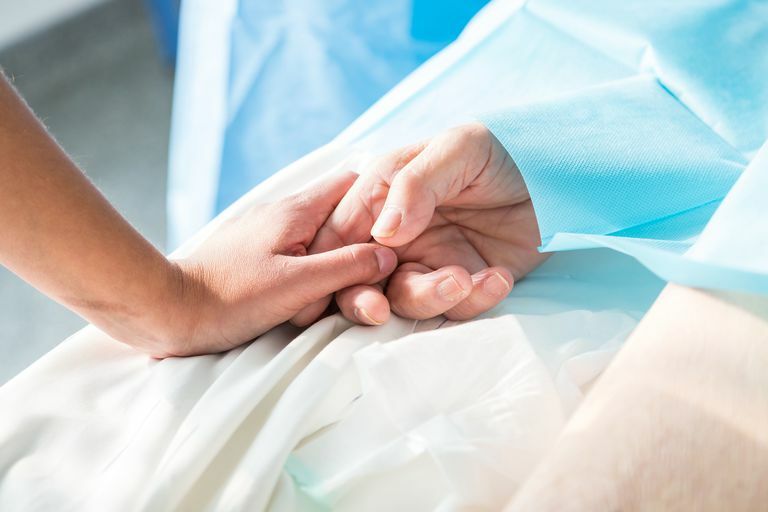 However, those who spend time with patients with a terminal illness tend to have a more personal connection to the cause because they have seen firsthand the importance of quality, patient-centered end-of-life care. Doctors for Dignity: The conversation about medical ethics and end-of-life care is constantly evolving with new technologies, models of care and social perspectives, but at the center of all advances is recognition of the importance of shared decision-making and effective communication. It's been said that patients are the best teachers. I would encourage physicians to truly engage with their patients and empathize with their specific circumstances. Put them at the center of the process and your perspective will change. Q: In states where it is legal to provide aid in dying, how has the law impacted end-of-life choices? Doctors for Dignity: This year, thanks to effective medical outreach by our medical directors, more physicians than ever supported patients through the Death with Dignity law process in Oregon (a 34% increase over 2013). Q: What should a physician do if they are interested in this movement? How can they help? Doctors for Dignity: I would encourage interested physicians to call our Doc2Doc line to find out more about how they can support their own patients and sign up for our Doctors for Dignity campaign. I would also encourage them to let their voice be heard both within their own practice and to their elected representatives. Q: Could this issue cause any conflict within the workplace if physicians have differing views? For example, if one physician is in favor of death with dignity, but another physician feels that it&apos;s "assisted suicide" and is vehemently opposed to it, could it cause any problems with employment? If so, how should physicians handle it? Doctors for Dignity: Our experience in Oregon shows that physicians with a history and a rapport with one another generally understand each other’s perspectives and motivations. Some of our most active advocates practice alongside some of the most vocal opponents. By approaching each other with mutual respect and empathy, they are able to work closely while keeping dialogue around this issue open and honest. Q: Are medical schools adapting or updating their curricula at all in light of this movement? Doctors for Dignity: In Oregon, both medical schools provide opportunities to engage in training in the medical practice of aid in dying. More and more medical students across the country are contacting us and finding out how they can become more educated about this end-of-life option. Just this month, [we were] contacted by two medical student associations, both in the south, about how to receive more information. The conversation is growing and evolving at an amazing pace.